The Sister Speak sound is stunning, heartfelt performances and a uniquely skillful leading voice drive every song on this project in a manner that’s consistently spellbinding. New York Sunrise is the opener and enthralls from the offset with its gradual progression from delicacy to Americana-like grit. The melody and the poetic imagery fuse well with the personal touch, painting a clear picture and connecting with the listener at the same time. Fighter changes the mood, taking the personal touch even further, reflecting and exercising empathy. The song is instantly accessible and compelling in its delivery of this acoustic, gentle soundscape and set of ideas. 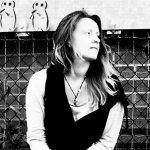 The rising intensity is presented initially by just the piano and singer Sherri Anne’s flawlessly meandering voice, both of which are effectively mighty in themselves. Bringing a definite level of color, energy, and musical warmth to the collection is a song called Do You Believe – the opening instrumentation and the gradual development of the soundscape are beautiful. In addition, the lyrics deal with nostalgia, memories, love, as well as holding close to that inherently poetic thread that runs throughout Sister Speaks’ songs. The beat has a certain uplifting depth to it that works well with the lightness of everything else. The song’s pre-chorus allows what follows to really hit with impact. A mildly-EDM inspired, synth-driven ambiance accompanies the evolution of the track and makes the possibility of remixes or further collaborations feel like a must. A well placed bit of eclecticism for the project. 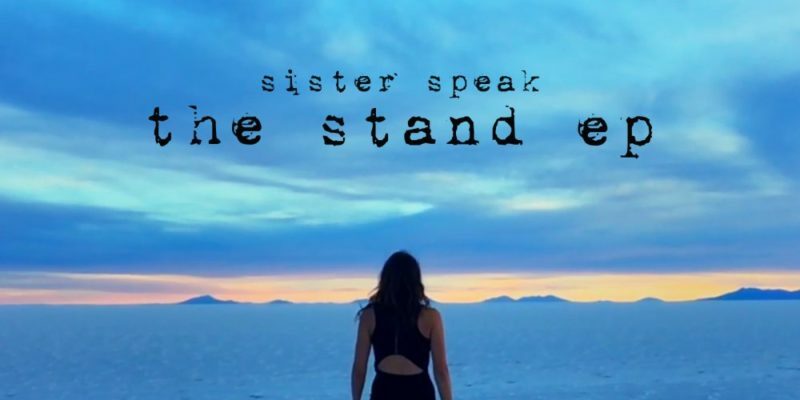 The Stand is a recent single release and has rightfully been making waves online. There’s something refreshingly honest about it, this detailed, folk-like story-telling is intriguing, and the opening acoustic rawness really showcases the skill and style of the artists involved. For what at first may seem like an alt-folk offering, the music quickly becomes something of its own entirely. This particular song eventually emerges as an alternative pop classic with an emotional edge that captivates. Emotional openness continues to reach out and connect through Walls, the vulnerability presented within contrasts with this title concept, and as the song progresses, the passion increases and the instrumentation reflects that beautifully. The song grows to underline a certain hypnotic desperation that’s very easy to relate to (and escape into). A dash of distant rock guitar fills the outer edges and adds a further touch of flair and detail. Throughout this EP the strength of the songwriting always stands tall, as do the leading artist’s superb vocal abilities and genuine overall deliveries. You hang on every word in the way you might have done back in the days when a favourite CD made for an hour of intense alone time and finally feeling understood. The artist speaks with you and for you, getting those inner demons and feelings out in the open to help you try to move past them or gain a little clarity. Catch Me As I Fall (Ft. Tolan Shaw) is a bonus track on the EP and the softness of the duet makes for a gorgeous way to end the experience. As always, the songwriting is authentic and heartfelt, and the gentle ambiance works in unison with the paired vocals here – everything floats through on precisely the right wavelength for the song to leave its mark. It calms you down immensely after all that came before, settling the nerves and leaving you with a sense of possibility and togetherness. The quality and brilliance of this collection deserves to be heard by so many. Chances are this is still merely the beginning for Sister Speak – I look forward to hearing what the future brings. Find & follow them on Facebook, Twitter, Instagram & Soundcloud. Visit their Website for more information.